Among the many opportunities Northside’s Latin program offers its students, the annual convention for the Illinois Junior Classical League (ILJCL) is one of the most anticipated. Over that weekend, students “Celebrate the classics through spirit competitions, art and oratory contests, academic tests, certamen, and much more,” said Deena Al-Ali, Adv. 001. 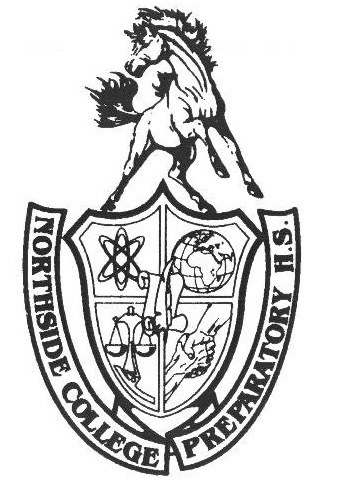 Northside took a total of 68 people -- called delegates -- to the convention this year, which was held from Thursday, Feb. 21 through Saturday, Feb. 23. They traveled in two school buses to Itasca, IL, a Chicago suburb near O'Hare International Airport. Competition, games, and general fun lasted all day for the students. Al-Ali said “A typical day begins at around 6 a.m. with oratory competitions or costume contests. There is breakfast, spirit competitions, and then a general assembly. After G.A., there are colloquium testing sessions, certamen rounds, lunch, more spirit, and then more colloquium sessions.” She also explained the toga banquet, in which delegates wrap themselves in sheets like togas and enjoy a dinner in the banquet hall on Friday night. She said the day ends with school fellowship, which is “A meeting of all members of a school's delegation to debrief the day and prepare for the next day of spirit.” The busy day, beginning around 6 AM and ending around 1 AM the next morning, is always long but enjoyable. Competitions are a very important part of the ILJCL festivities. One such competition is the daily spirit competitions. Each day of ILJCL, there is a different spirit theme. “The third day's spirit theme was Superhero Saturday, so our spirit leaders created Batman related chants,” said Al-Ali. There are spirit competitions every day and winners receive prizes -- Northside won a sequined pillow and a ukulele, among other items. There are also many opportunities to compete in graphic arts at ILJCL. The Latin classes at Northside always complete an art project before leaving for convention, which gives attendees a chance to submit their art. Graphic arts competitions range from more typical items, such as paintings or drawings, all the way to board games, greeting cards, and doll making. Students also have the chance to participate in Impromptu Art, in which contestants are given random materials such as cotton balls and pipe cleaners and have a limited amount of time to make something out of them. ILJCL has competitions for the more academically-inclined participants as well. There are tests that students can take, speech writing competitions, Latin memorization competitions, as well as Certamen rounds for teams. Certamen tests contestants’ knowledge of both Latin grammar and Ancient Roman culture. Northside’s Certamen team has been very successful in the past and it was just as successful at ILJCL. Al-Ali urges everyone to come to convention next year. Students always have a fun time and bring home many treasured memories. Al-Ali shared one such memory. She explained that each school has to create a roll call presentation, where they share the name of their school, the number of delegates they have, and their method of transportation to promote familiarity among the schools. Northside’s roll call presentation was by Joey Padmanabhan, Adv. 003, for which he performed “an awesome rap,” according to Al-Ali. Spirit — During the second General Assembly, NCP won 1st Place among large delegations in the spirit competition. Scrapbook — NCP brought home the 1st-place award for best school scrapbook, made by Tallulah Cartalucca, Adv. 910. Laurie Jolicoeur “Friendly Hand of JCL” Award — In recognition of the tireless efforts of our chapter of the National Latin Honor Society, our school received this plaque for exceptional service to the community. Marilyn Brusherd Graphic Arts Award — Plaque won by Tallulah Cartalucca, Adv. 910, for most sweepstakes points earned by any delegate for models, dolls, games, sculpture, and other graphic arts competitions (her third year in a row earning this honor).